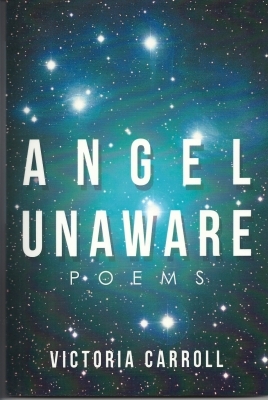 Born in a writers’ workshop in Ouray, Colorado, Angel Unaware presents human history as seen through the eyes of various personae. An angel whose assignment is to “observe” humanity writes from the viewpoint of a being who has no comprehension of what it is to be human, giving a unique view to our history. Interspersed throughout are poems from the perspectives of various characters, both Biblical and contemporary. Together the poems function to communicate faith. Treating Biblical events with sincerity and respect, the poems explore the unity and logicality of a coherent and consistent world view. Phrases and images recur throughout to weave poems and sections together in order to express the sublime. As literary poetry, the poems take various forms--sonnet, haiku, ballad, tercet, couplet, and prose poem, as well as other stanza variations and free verse forms. The uses of imagery, paradox, ambiguity, patterns of sound, and other devices serve to intensify the meaning and communication of experience. From the introductory poems to the final ones, the reader should find poems that enlighten, delight, and possibly even shock, as characters, such as Eve, Bathsheba, and a servant-girl in Nero’s court, are given voices to express their perception of events and circumstances. Order from Amazon.com, Barnes and Noble.com, or AuthorHouse.com. May you react to these poems with any or all of these responses, and may you enjoy what you read. May they lift you above the clouds, as seen in this photo by Irene Dowsey. When we view life from the perspective of heaven, the storms do not overwhelm us.